Gifts from the Pirates: "The role of an actor is to make every character believable". "The role of an actor is to make every character believable". 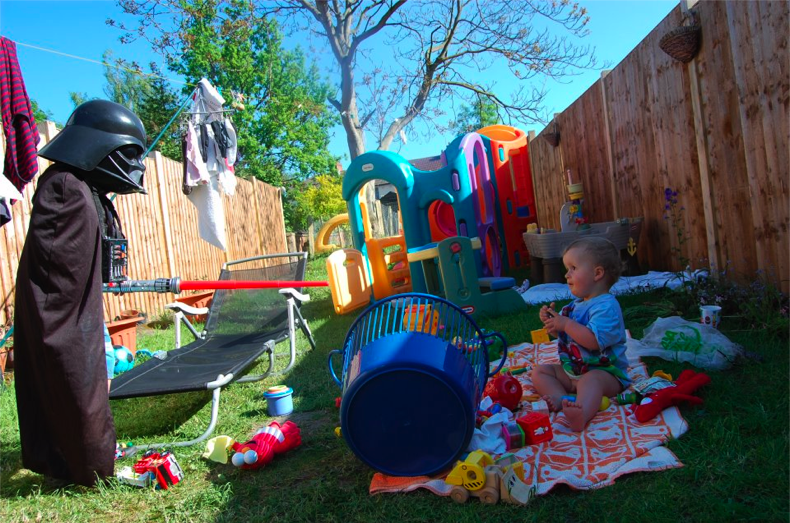 We love dressing up here and running about, or even just lounging around. 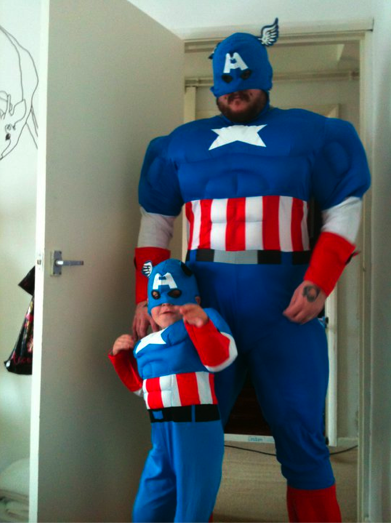 Me and seth once put on our Captain America costumes just to watch Super Hero Squad. I love having a reason to act like a child for an afternoon (Mrs M would probably say i was a child all the time but better that than other stiff's my age). 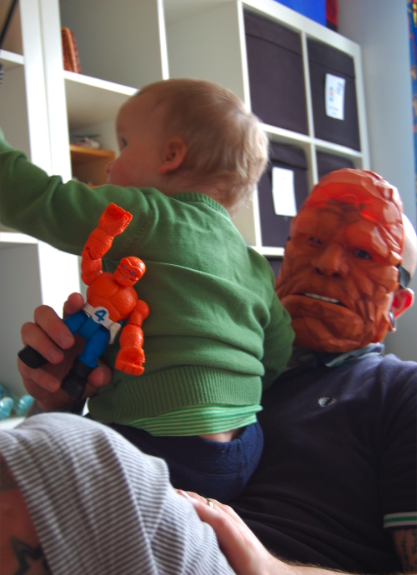 I really think that the role playing and messing around gives me a much stronger bond with my boys. i couldn't care less who see's me like this either, i once answered the door to the postman dressed as a giraffe its just the way we are in our house. I'm really looking forward to Opeie getting a bit older as when me and Seth are running about its obvious that he is desperate to get in on our action. 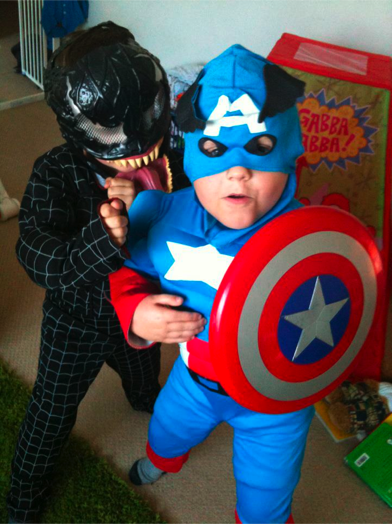 When Seth's friend William comes round its never the action figures that come out, its the dressing up outfits and heavy arsenal of weaponry for their adventures as Telford's most elusive super hero's / villains depending on what mood their in. This afternoon we had a Batman vs Joker water fight, it pretty much consisted of Seth putting the water bombs down the back of my trousers and hitting me repeatedly until they burst (which he found hilarious). Having such a talented mom really helps in the dressing up especially when it comes to school themed days or the school plays etc as Mrs M is a dab hand with a sewing machine. 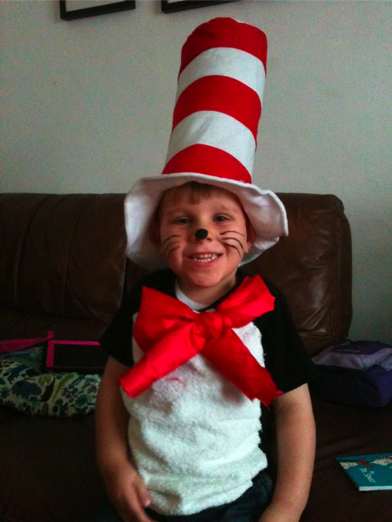 Seth loved his Cat in the hat costume for world book day (courtesy of Mrs M and her magic fingers). He was also Joseph in the nativity at nursery the year before, Mrs M made an amazing costume and cleverly stitched the name Jo-seth in to the back (Which the teacher loved). The Darth Vader costume is definitely the one that comes out the most as lightsaber battles are a daily occurrence in our house, Mrs M even gets involved. I myself prefer running about with the Boba Fett blaster. When Seth is dressed up Opeie doesn't really know what to make of it, give him a year or so though and we'll have him dressed as a storm trooper standing next to his big brother.